When I was growing up, there was a TV show called Movin' On. It starred Claude Akins and some other dude driving a two-tone green Kenworth across America. I loved that truck. It's corny and hokey and a bit cliché, but I've always wanted to be a truck driver. 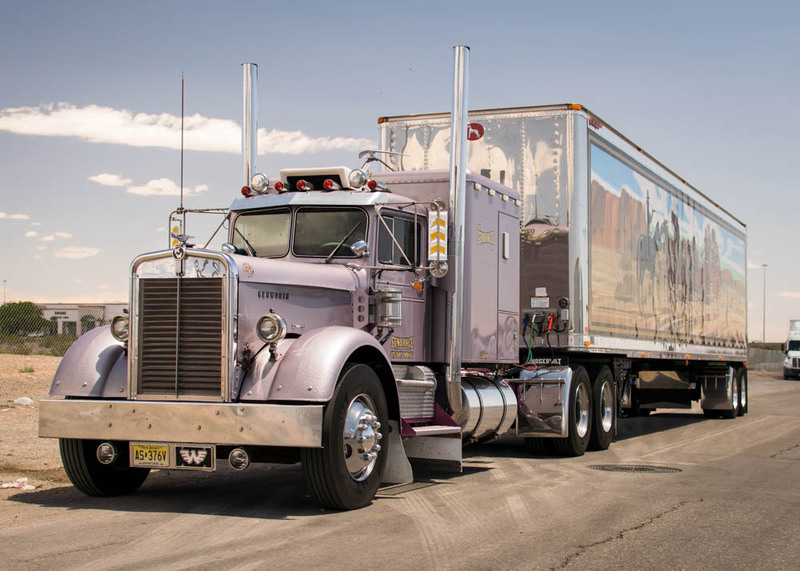 Even back then, with the oil crisis and other disruptions of the 70s, I remember people saying that trucking wasn't what is used to be, all the rules and government regulations were killing the industry. I guess people have been saying that for a long time now. I ended up pursuing other interests. I went to college, got my Bachelors Degree, and held many different jobs over the years. The truth is, I've never had a job that I've felt comfortable in. I have made several attempts to try to find my true "vocation", with varying degrees of success. So, at 47 years old, I've completely changed careers. Again. I'm not saying that I've finally found what I was meant to do. This won't be the magic bullet that will cure my occupational wanderlust. But after decades of bookkeeping and office administration work, I am looking forward to a change. Yes, I understand the work is hard, much harder than what I'm probably used to. I envision old time truckers looking at me they way Robert Shaw looked at Richard Dreyfuss in Jaws ("You have city hands, Mr. Hooper. You been countin' money all your life.") That's a good thing. I'm at my best when people underestimate me. As of this posting, I've been on the road for over four months. I'm ready to try and do it like Sonny Pruitt used to do it. And it wasn't like it was a quick light either. I stopped and stared in disbelief for a long while before I even took out my phone for the picture. ... just beware of the wind. It comes out of nowhere, too. I mean, you can see a storm coming, or rain. But, when it's windy, one minute you're driving along fine then WHAM, your truck is five feet over into the next lane. Very scary. You're in independence, California? 395 is one of the most beautiful drives in the state! I don't know if your going north or south, but if you haven't gotten to Bishop yet, see if you can get to Erick Schat's Bakkery It's famous. Bishop is on the ever growing list of towns I have to go back to visit. I could only drive through this time but, man, it looked like a very cool place. Hello, TT, sorry I haven't been around much. I thought it was time to give a 3 month update. Exactly like what everyone has said, it got easier. Mostly. The ground floor basics that I used to spend so much time worrying about (hooking and unhooking trailers, shifting, trip planning, etc) now come fairly easy. I'm learning that trip planning is less like a symphony, with every note planned out in advance, and more like a late nite jazz session, where you have to make music with what you've been given, and be able to improvise when the music instantly changes. I'm also trying more and more of the smaller mom and pop truck stops. At first, it was Pilot/Flying J/Petro's or nothing. Tonight, I'm at the Fort Independence Travel Plaza, off the 395 in California. I'm in an enormous dirt lot with just 3 other trucks. For once, I'm hearing crickets at night and not the blasting noise of a thousand idling truck engines. It's glorious. Schneider has been good to me, they've kept me running. Pretty much only Cali/Oregon/Washington and Nevada but, as I've said before, I'm ok with that. My DBL and I hardly speak, but I'm ok with that, too. My truck has been a trooper, mostly. It conked out on my in Oregon a month and a half ago, a fuel injector went and that left me in a hotel room for four days (Thurs-Sunday), but past that she's been good to me. Being away from home has had the biggest impact on me. Most days I look around and I'm amazed that I'm getting paid to drive down beautiful highways. 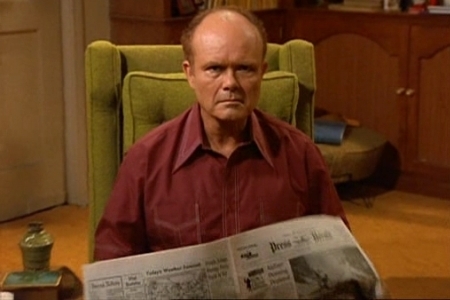 But then, in the morning, when I'm brushing my teeth in front of a sink that's been spit in by a hundred other drivers that morning, or trying to live off Subway and whatever food I can carry in the truck that won't spoil, or not seeing my wife for weeks at a time, that is what's really bringing me down. And, if I'm honest, I think the time I’ve been spending alone in the truck might be starting to get to me. I had a full blown argument with my GPS recently. You know the movie Castaway, and how Tom Hanks talks with Wilson? That was me. 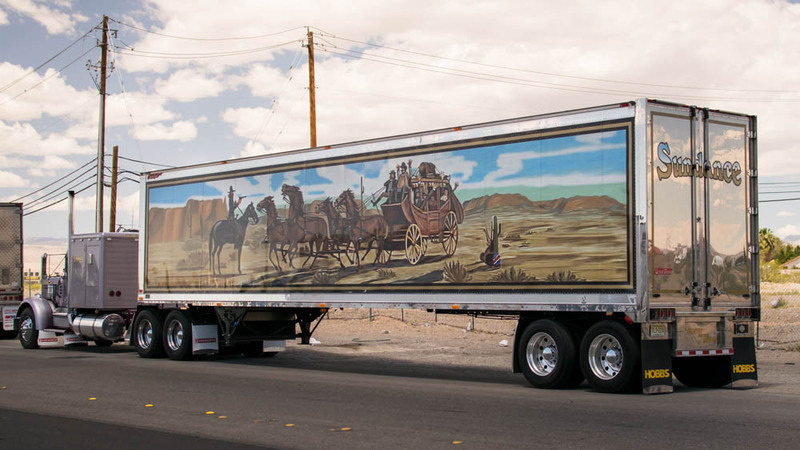 I was heading to the Schneider drop yard here in Vegas, on the 15 south coming back from Cedar City, Utah, and the GPS was directing me to exit onto Tropicana. To hell with that, I’m getting off on Russell. Trop is way to crowded, tight, and too many weirdos, especially just west of the 15. Russell has nice big lanes, less traffic than Trop, it’s just a better choice. I was explaining all this to my GPS, until I realized I was explaining all this to my GPS. Anyway, again, I apologize for not contributing as much as I should to this page, keep up the great work, everyone, I love how supportive everyone is here, it's a beautiful thing. How often do you get your truck washed? 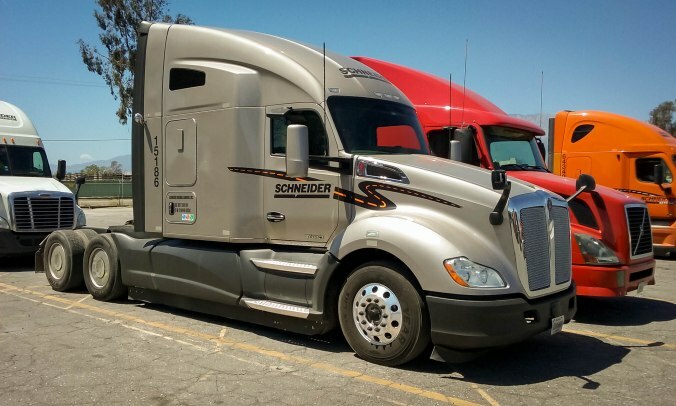 Are you still with Schneider National? Yes, going on my 7th week out on my own. Everyone said it gets easier, and slowly, it is getting easier. Tractor Man is no longer UNEMPLOYED! I see some sparkling clean machines out there. And some that look like they've never been washed. Which one are you? Also, how much does it cost for a truck wash? And, if you're a company driver, does your company pay for it? 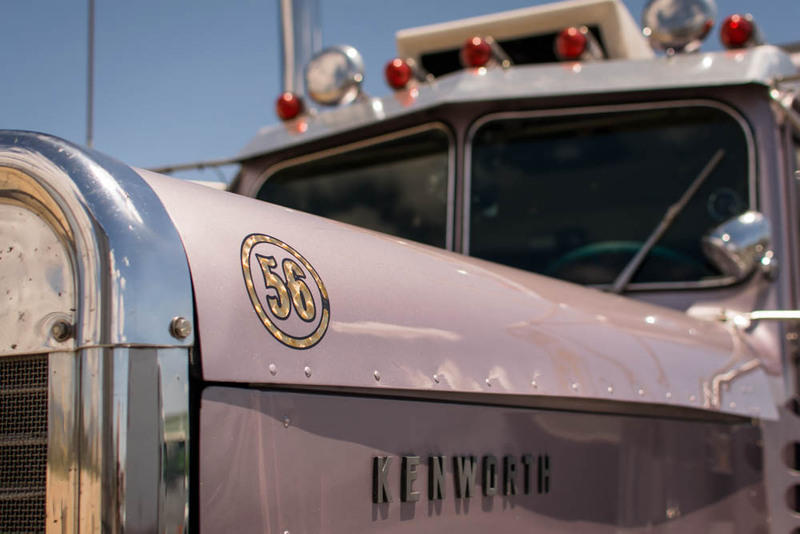 I saw this 1956 Kenworth outside of a TA in Vegas on Monday. This might be the single coolest truck I've seen. The owner said the drivetrain had been updated, and the sleeper is from a Kenworth from the 60s (if I remember correctly). I love everything about this rig. Ok I have to share this! I love Allie Knight, I've been following her for a few months now. Checking tire pressure - how do you do it? even a few pounds off is bad. So, if you have low air pressure, where to you go for air? How do you check your tire pressure; do you thump your tires or use a gauge? And what do you do if your tire pressure is low? It's not like you can just go to the normal air hose at a gas station. Can you? I'm just asking because I'm a new driver and I've heard about the upcoming enforcement campaign coming up June 7-9. I want to make sure I'm all set in case I get pulled out for inspection. When I was getting pretty comfortable with my shifting I was reassigned to an auto. So just keep doing your best one mile at a time. There are days when I wouldn't mind an auto, but for the most part, and call me crazy for thinking this, but for the most part I like shifting. I feel like i have more control over the truck. Every truck is different. It's the lack of clutch play that probably has you flustered and the lack of wear on the transmission. I went from a high mileage truck to one with less than 100 miles. It took me several days to get comfortable with it and reset muscle memory to forget the old and remember the new. I'm sure that's it. 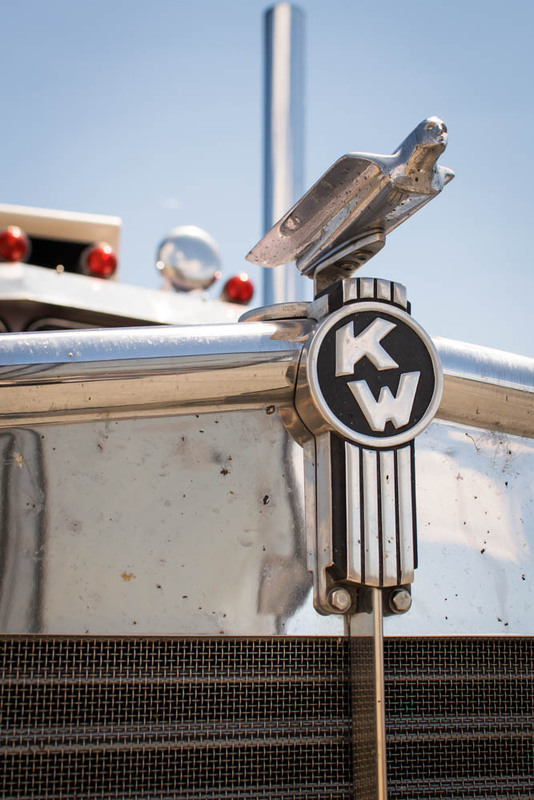 In CDL school I learned on the standard issue Kenworth POS edition, where a thousand rookies ground that transmission into dust well before I got to it. And then my first truck was also a piece of work. Now that I've got something fairly new, as you said, it's just getting used to it. And thanks again, everyone, especially the moderators on this site. I've said it before, I just feel so lucky to get into a decent CDL school that didn't just steal my money but actually taught me something, and thankful for Trucking Truth, and all the efforts the mods put into this site and it's resources to make this site work for us newbies! And, seriously, anyone driving a Kenworth T680 who wants to give me tips on shifting, I'm all ears. I still can't skip shift (like, going from 2nd to 4th). I could skip shift all day in the Freightliner Cascadia. So, I just completed my first month. Thought I would give TT a bit of an update. Things didn't get much better that first week. Honestly, I was expecting a bit more support from my DBL (Driver Business Leader for those not familiar with Schneider lingo). The short story is that my DBL kept assuming that I knew things that I just didn't. I mean, I spent most of my adult life working in an office. I didn't get behind the wheel of a big rig until the beginning of March. Everything is new to me, everything. Just because I did 3 weeks of Schneider training doesn't mean that I'm all knowledgable about how the world of transportation works. Or how Schneider works. Or how anything works. I still feel like every shift, every turn is practice. So, yeah, there was some tension there. That truck eventually broke, and I left it in Sacramento, and was issued a new truck. It took me a week and a half to figure out the clutch. I hardly have to push the clutch in to shift. I mean, barely just touch it. It's still weird. And I still screw it up. At the beginning of my third week, however, things started to fall into place. Or, better, I could at least start to see how the pieces fit together, instead of just seeing them fall clumsily to the floor, with no understanding of what I’m supposed to do with them. Or even how many pieces I should have in the first place. I ran the I-5 corridor in California mostly, up and back from the Inland Empire in the south to around Stockton and Sacramento in the north. Which, honestly, was fine. I'm from Southern California originally so I'm familiar with those roads. And I like running the I-5. I cruise near the speed limit, and just let the world pass me by. This week I made it all the way up to Oregon. It was gorgeous. Coming back south, I took Hwy 58 from Eugene down into the south east of Oregon, and that was like God's Own Road. I couldn't believe I was getting paid to drive that road. Which balanced out the days they couldn't pay me enough to do this job. This job, man. I've never had so many highs and lows, often in the same day. So, yeah, I'm in a better place right now. Every day, every load, things get better. I think I might just stick with this. Why do some trucks just idle for hours at a truck stop? What purpose does it serve? I'm at a truck stop right now inbetween two idlers. They aren't reefers, they are just stopped without shutting off their engines. Truck stops are disproportionately noisy, in general, I'm learning. Last night, I stopped at a highway rest stop. Everyone was quiet. It was the best night of sleep I've had since I've been on the road. Where do you go to get weather info? Yesterday, someone was saying that they were requiring chains for Donner Pass (I-80 in California). Where would I have to go to find that info? What resources do you use to get updated weather conditions? Everyone is telling me it gets easier, so I'm assuming it must, lol! Sorry about the hit, that's a drag. Keep rocking it, you and I will get through these early days! 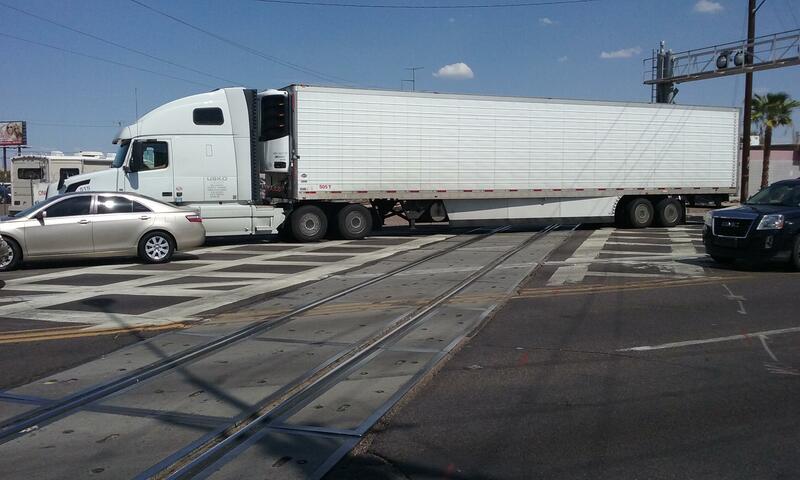 Welcome to the real world of trucking. I promise you it will get better. I also started out bobtail, had to go to some warehouse to pick up my first empty. I had no idea what message to send to hook up way. I had to call my DM. Only one of your drive axles is actually powered. There's a switch on the dash that will give you "4WD" - two axle power. On a Freightliner look for the switch to the far right that says "DO NOT ENGAGE DURING SPIN OUT". Also, get the Trucker Path app right now. It lists "all" the truck stops. My hint: look for a non-chain location. Read some of the reviews to get an idea if the place is any good. I promise you most non-chain places will have spots late at night. And many times you'll be surprised at how good they are. I've actually got the Trucker Path app, I've been looking at it every day. I'll use it tonight and try to find more of the mom and pop places. After an hour of trying to dig out my two rear drive axles from an ever-growing sinkhole of soft Nevada dirt, using nothing but some discarded plywood and bits of lumber, I knew that I was wasting valuable time. I bit the bullet and called Martha. Well, Martha, obviously, they never got around to it. She told me I had to call Schneider Emergency Maintenance and arrange a tow from there. So, another hour gone. On top of the hours I spent cleaning out the filth from the previous driver and then waiting to get dispatched. 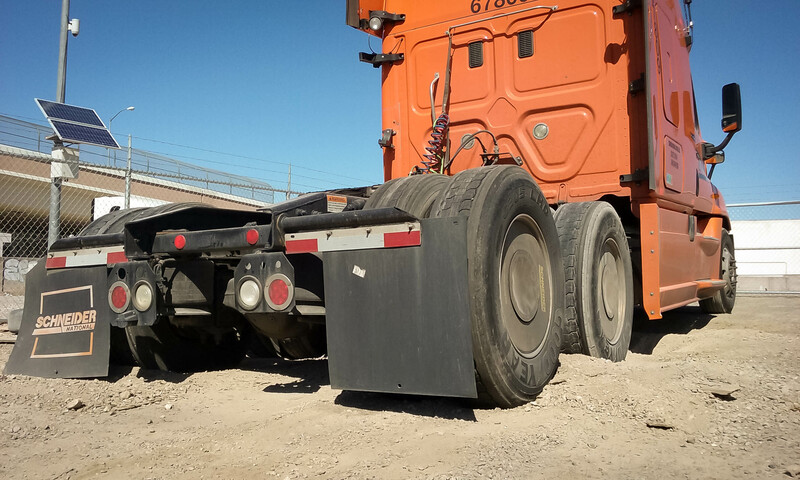 Trucking can be compared to a lot of things. Falling dominos is a good example. You knock over the first one, and that effects everything else. After the tow truck pulled me to solid ground, I finally picked up my empty trailer, and hit the road. After a few hours, I pulled off to a truck stop to grab some Subway, the first thing I had eaten all day. And then I called my wife. And then I cried. Yes, I cried on the phone to my wife. This blog is warts and all, people. Only once before in my life have I cried because a job. Remind me to tell you that story at some point. I got back on the road, got to my destination, dropped off the empty trailer, spent a disproportionate amount of time hooking up my loaded trailer, because I’m new and this is my first day and despite everything I’m still trying to be a good boy and make sure it’s all done correctly. Eventually I’m on my way. By that time I had 10 minutes left on my driving clock. By some movie-miracle magic, just on the horizon was a brightly lit truck stop. 10 minutes. I can make this. Except, I didn’t. Well, I did. I made it to the truck stop, however by now it was close to midnight. Truck stops start getting crowded in the early evening, and are often full by midnight. This was no different. Yes, there were one or two randomly placed spaces I should have tried to get into, but I was tired and scared and I had already cried on the phone to my wife so I wasn’t interested in having anyone else know what a ***** armature I was. I circled the parking lot a few times, then left. My on-board computer was reminding me every few minutes that I was out of hours, I shouldn’t be driving, and that this was a DOT violation. I started cruising the side roads for a place to just park. Some times you will see big rigs shut down in random off-road spots. Either they are broke down or they’re getting some shut-eye. But the movie-magic was all gone. After half an hour of driving around with this robotic voice constantly reminding me I was in DOT violation, I got back onto the highway. I knew there was a larger truck stop a few miles down the road. In for a dime, in for a dollar, I reckoned. I rolled the dice. And got jackpot when I arrived. A space, one glorious, easy to get into space. Hallelujah. It was almost one in the morning. I shut down the truck. Then I shut down. And that was my first day on the job.